Newly released earlier this month of January, Yakusoku no Neverland (The Promised Neverland) already secures top spot for season favourite, courtesy of its dark and gripping storyline masked beneath the deceitful illusion of cheerful youth. Originally written by Kaiu Shirai, the Promised Neverland series is already known for its twisted play on innocence versus horror with its weekly serializations in Weekly Shônen Jump magazine since August of 2016. 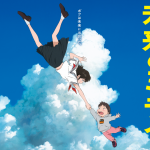 Illustrated by artist Posuka Demizu, story and art alike seem to enjoy walking the line between light and shadow, creating contrast yet also overlapping the disjointed realm of adulthood with the innocence of childhood –a theme which animation studio Clover Works (Fairy Tail, Darling in the Franxx, Bunny Girl Senpai…) has decided to take and run with for the newly adapted anime release. 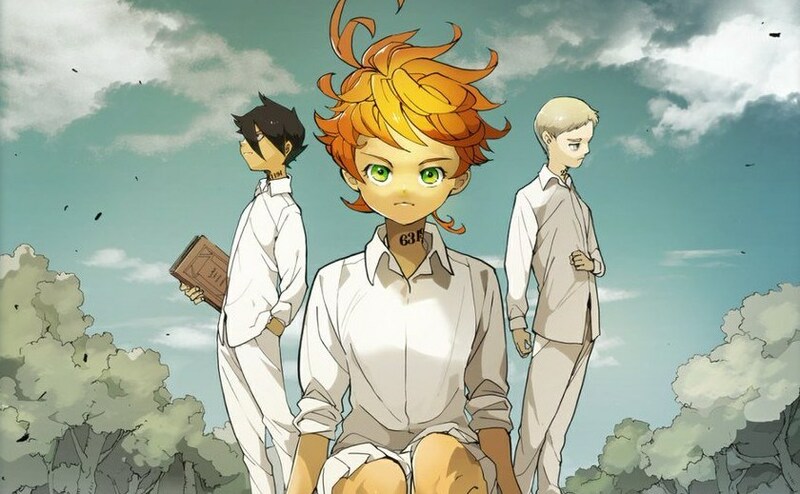 Yakusoku no Neverland tells the story of Grace Field House, an isolated orphanage in the year 2045 where children under the age of 12 are cared for and roam cheerfully under the watchful eye of ‘Mama’, the benevolent caretaker responsible for the growth and wellbeing of the children until the time comes for them to join ‘the outside’, a place beyond the forest surrounding the orphanage where real life begins. As one of the oldest of the children, 11 year old Emma feels responsible for her younger ‘siblings’ and enjoys helping with chores along with her trustworthy friends Norman and Ray the three of them equally bright and brainy. When it turns out that the house they had thought of as a home is actually a human farm and that the woman they had called Mama is none other than the butcher harvesting children to feed to demons, the trio decide to flee but not before concocting a plan to take all 37 other orphans with them. An impossible feat under the glare of the already suspicious conniving Mama and her demon acquaintances. With such an obvious horror narrative, what makes the series stick out as early on as with the manga is the contrast the art creates with the blunt creepiness of the overall plot. 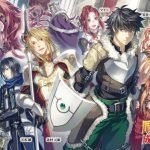 In its paper format, Posuka Demizu’s art is crisp and clean, the children’s expressions minimal and cheerful and yet the awkward simplicity of the art not only compliments the story’s dark atmosphere, it pushes its envelope and transforms it into something even more disturbingly ominous by opposition. Clover Works mirrors this discrepancy by giving the illusion of normality with merry, healthy looking children and boastful bright colours that wouldn’t typically apply to a horror series all the while deliberately parading obvious visual clues to slowly break down the off-putting mask of innocence as the story unravels. From the clean white clothes the children wear to the bold cattle-like neck tattoos they bare, things click and fall into place as the suspense grows and the once slightly odd cheerful atmosphere the art brought to the series now casts a threatening shadow over the whole story. With only three episodes out of twelve aired so far, Promised Neverland sits at the top for best scored new releases of this winter as the orphans plan their escape from their demise, running from one false Neverland ruled by adults and demons to a new uncertain one beyond the wall. So far a promising horror mystery series, addictive through its suspense and peculiar cast of characters. 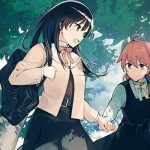 This entry was posted in ANIME and tagged anime, anime adaptation, clover works, demon, grace field house, horror, january 2019, kaiu shirai, Manga, mystery, mystery sci-fi, neverland, new release, ominous, orphan, posuka demizu, promised neverland, sci-fi, shounen, winter 2019, winter anime, yakusoku no neverland. Bookmark the permalink.